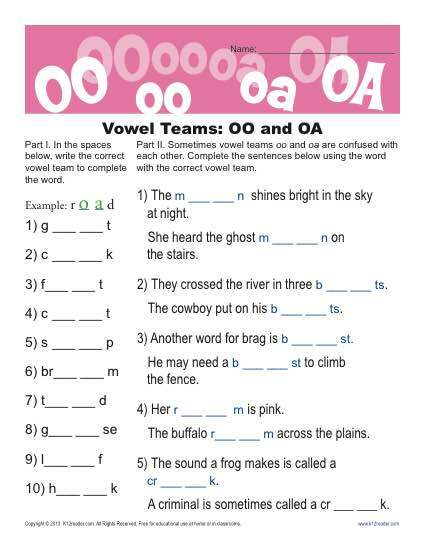 This worksheet features the “well-rounded” vowel teams of ‘oo’ and ‘oa’. There are two different exercises that ask your student to determine the correct vowel team to make a word. You’ll find it useful for practicing 1st and 2nd grade Reading: Foundational Skills for Common Core Standards or for other students as needed.